Do you have a picky eater at home? 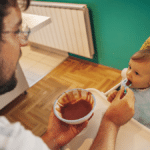 You are not alone – at least a quarter of toddlers and pre-schoolers are described by their parents as poor or ‘picky’ eaters, writes registered dietician Megan Pentz-Kluyts. 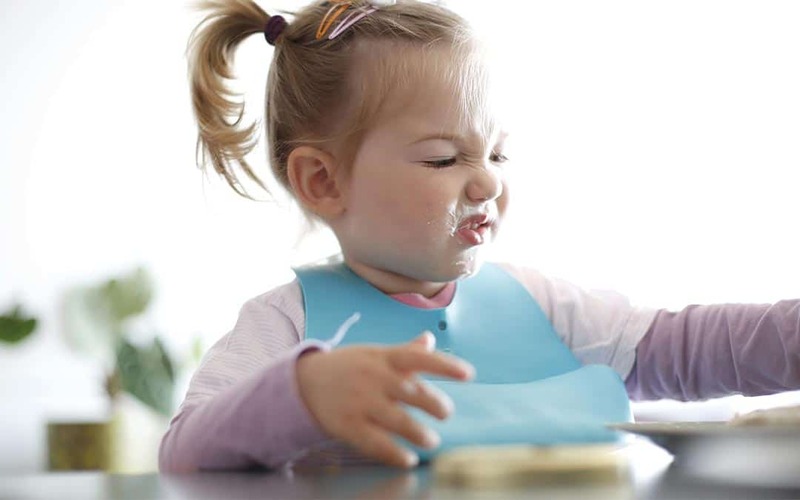 Picky or fussy eaters, are the bane of any parent’s existence. They eat an inadequate variety of foods, rejecting a substantial number of familiar and unfamiliar foods. And sometimes, the consequences can include poor dietary variety during early childhood, which means an inadequate intake of nutrients. Some picky eaters seem to object to texture more than taste, rejecting any food that’s not smooth. This is particularly the case with children who are sensitive and sensory-defensive, so the quicker you progress with texture, the better the chance of your child not being a fussy eater. Texture resistance is also significantly associated with picky eating and a 2016 study in the Appetite Journal showed that picky eaters consumed less meat and other protein sources, fewer vegetables and consumed less energy from mixed dishes than non-picky children. Children’s feeding and eating problems are a frequent cause of parent-child conflict and can cause tremendous concern for their parents. However, the majority of these children have an appetite that is appropriate for their age and rate of growth. If mealtimes are a struggle, try these tips to help your child develop better eating habits – they’re suitable for a child of any age. It’s never too late to start having a healthier and more enjoyable mealtime. 1.Be a role model. It’s the parent or caregiver’s job to decide what food and drinks are served at meals and snacks, as well as when and where food is served. Make only one family meal. Do not offer your child other options or their favourite foods if they refuse the family meal. 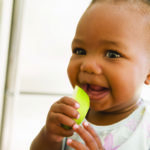 Your child will eat better and be more willing to try new foods if they see others at the table eating the same foods. Keep in mind that children eat better when the family eats at the table together. Family members, including older siblings – even peers – are important role models for healthy eating. 2. Your child’s job is to decide if they are going to eat and how much . They will eat if they are hungry. Don’t worry – your child won’t starve themself! Trust that they know when they are hungry or full. 3. Plan family meal times. Eat meals at the table as a family. Do not offer food while your child is playing, reading, watching television, at a computer or walking around. 4. Eat at regular times. Offer three meals and up to three snacks at regular times each day. Offer only water between meals and snacks. This will keep your child hydrated and will also make sure that they don’t fill up before meal time. This way they will come to the table hungry. 5. Stick with it. Continue offering new foods even if your child has said ‘no’ to them before. Offer these foods on different days, at different meals and in different recipes. Don’t give up! See the value in one bite. It can take as many as 10-15 times for a child to try a food and like it. 6. Limit meal time. Allow your child a maximum of 20-30 minutes to eat the meal. After this time put the food away and let your child leave the table. Offer food again at the next scheduled meal or snack time. Extending meal times for too long will not make your child more likely to eat and does not create a healthy and happy eating environment. 7. Scale back on snacks, treats and drinks. Some children graze all day, so when meal times come, they aren’t hungry. A child who has yoghurt an hour before supper is less likely to eat something they don’t love than a hungry child. 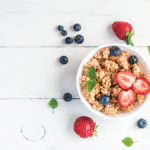 Cut back to three meals and up to three healthy snack options at relatively consistent times. This will help ensure that your child is more receptive to trying something new because they’re truly hungry. Ditto for drinks. 8. Don’t pressure, praise, reward, trick or punish. Children who want to be independent will not eat well if they feel pressure. Allow your child to decide if or how much they will eat from the foods offered. Trust that they will eat if they are hungry. 9. nvolve your child in the shopping and helping in the kitchen. Have your child help grow vegetables and start a herb garden. 10. Promote happy meal times. Your child will eat better if mealtimes are enjoyable. Children are more likely to have a happy mealtime if you don’t pressure them to eat. Worrying about each individual meal, day or even week can just make it seem like you aren’t getting anywhere. Always keep in mind that when it comes to feeding kids, creating a healthy eater for life is the goal. However, if your child is not growing or gaining weight appropriately, then you should always speak to your regular healthcare professional, especially when your child is not growing or gaining weight.